Yadira Lue used to feel hopeless when she would look across the street at Zamora Park from the window of her El Monte home. The poorly illuminated park stained with graffiti and littered with decaying equipment was no place to take her 4-year-old son to play, forcing them to trek 2 miles to the nearest safe park. Now when she looks at Zamora Park, she feels hopeful. $3.7 million worth of hope, to be exact. 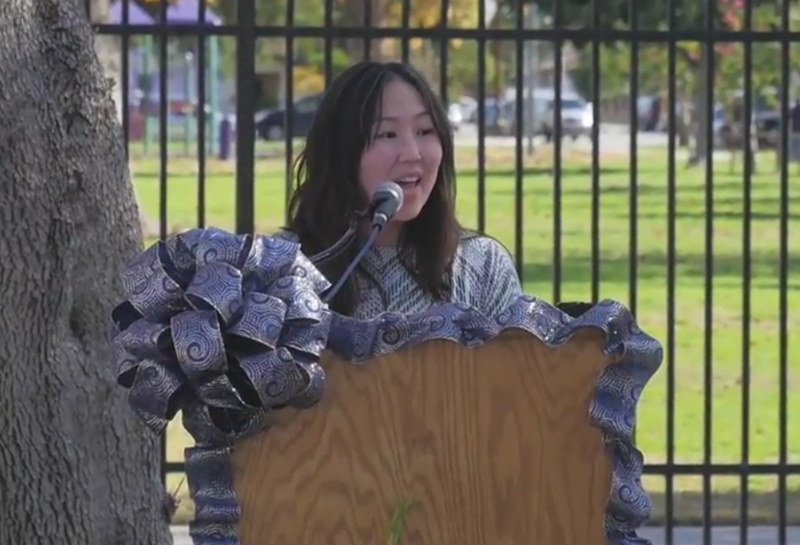 Under its Urban Greening Grant program, the California Natural Resources Agency granted that amount to the Trust for Public Land late last year for the Zamora Park Renovation Project, a venture supported by the city of El Monte with backing from Lue and her fellow members in the Best Start South El Monte/El Monte Community Partnership. According to City of El Monte Parks and Recreation Department Director Alexandra Marroquin, the $3.7 million will support the addition of 1.4 acres of native plants, plant 112 trees, and provide landscaping and design for new activity areas like walking trails, picnic tables and fitness zones. The city and the Trust for Public Land will also work together to leverage an additional $2.3 million to fund playground equipment, a second basketball court and a splash pad, Marroquin said. This funding will be acquired through various sources, possibly including a community block grant. Once shy to speak in public, Lue spearheaded an effort to research graphics, statistics and photos of the park, along with a “wish list” for park improvements that was presented at a city council meeting last spring. So effective was the presentation that the city — which was already doing its own research on park improvements — asked the partnership to write a letter in support of the grant application. During a January 20 celebration of the new grant funding at the park itself, both city and Trust for Public Land officials praised the Best Start members for their involvement — not just on behalf of their own kids, but for all of the 12,000 residents who live within walking distance of the park. Lue called this opportunity to be involved in the design “good news” for the community. Meanwhile, she and other Best Start members were content to take a moment at the celebration to reflect on their participation in this victory. And for that once-shy mother? What was her key takeaway from this cooperative victory?